It would appear I’ve been stuck on a snake theme since yesterday. Honestly this kinda feels like a step backward since I did it in profile with no depth. 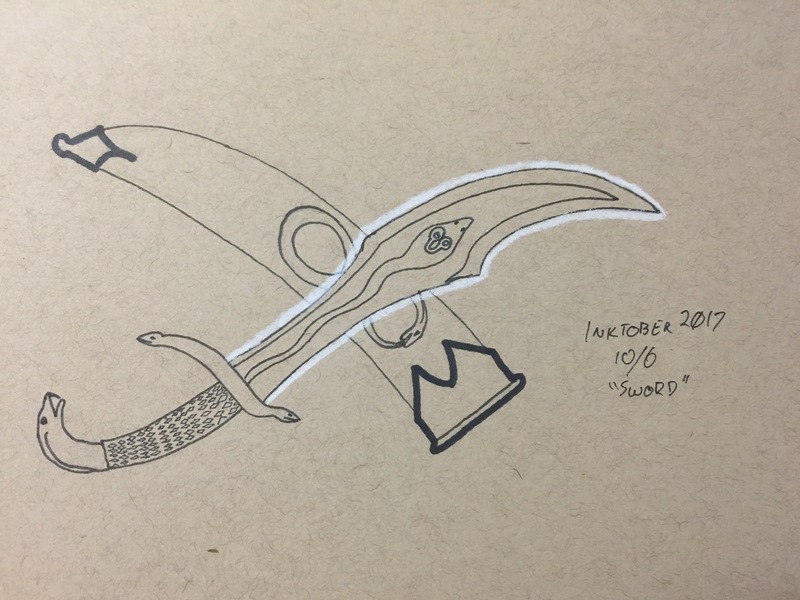 Also, I feel like the ouroboros should’ve been lower on the scabbard so that the blade wasn’t obscuring it so much. Eh, decent but not my best. Though I take it as a good sign that I feel like I could do better. I’ll try to take more time with tomorrow’s effort.